A process emphasizing interpersonal support, introspection, critical thinking, shifting perspectives, improving communication skills, problem-solving; and goal clarification. Counseling can be particularly useful in exposing alternative ways of seeing and responding to common problems, especially in those cases where our old ways of doing things fail us. It can be applied to a wide range of concerns, including relationship difficulties, family conflict, self-esteem, life-fulfillment, parenting and youth concerns, sexual and gender identity, sexual satisfaction and performance, and more. View WellSpace counselors. Personal coaching is a goal-oriented, action-oriented, and solution-focused process meant to assist clients in clarifying goals; creating detailed, concrete plans to meet those goals; identifying and overcoming potential obstacles; developing new practices, habits and skills; and increasing motivation. Coaching can be especially useful around issues of career advancement, business creation and development, relationship-building, parenting, fitness, diet, exercise, and sports performance. View WellSpace coaches. Massage therapy is a hands-on method for promoting general health, relieving pain and stress and facilitating healing. Employing deep-tissue, Swedish, sports massage and other techniques, our experienced massage therapists can help you heal from injury, recover from pain, increase flexibility, improve circulation, reduce anxiety, relax and generally improve your overall wellbeing. Our upscale, climate-controlled, quiet rooms offer a comfortable safe haven and we provide filtered water and sparkling clean, private restrooms. View WellSpace massage therapists. Chiropractic care is the diagnosis and treatment of pain and disease in the body via an all-natural, hands-on approach. A licensed Doctor of Chiropractic examines you thoroughly to identify the underlying cause of your symptoms. Once a proper diagnosis has been made, the doctor then provides treatment using chiropractic adjustments and other techniques. Adjustments consist of manipulating a joint to facilitate a gas exchange and pressure release (that's the audible crack you hear). This biomechanical correction allows for the proper realignment and healing of joints as well as surrounding nerves, blood vessels and lymphatic pathways, etc. View WellSpace chiropractor. Acupuncture is the use of very fine needles (about as thick as a few strands of hair) to activate your body's healing ability at specific points along pathways where your body's energy travels. When the needles are applied, you may feel nothing at all. Sometimes you may notice a slight pinch or, more commonly, a heaviness or distending sensation. This is your body recognizing and responding to the stimulation. It is a good response, and very similar to when your massage therapist finds those sore muscles that really need to be worked out. Your acupuncturist may employ other techniques to assist your body, such as scraping, cupping, and moxabustion. View WellSpace acupuncturists. The ancient healing practice of Chinese Medicine is based on an understanding of how your body functions internally and within the natural environment. By balancing the body's energy, also known as qi, pronounced “chee”, many illnesses can be effectively treated and pain can be dramatically relieved. Many conditions that can be very effectively, gently treated in this way including auto-immune disorders, hormonal imbalances, asthma, digestive tract problems, skin problems, arthritis, joint pain, anemia, headaches, anxiety, gallbladder problems, depression, hypertension, allergies, nausea, leukopenia, and more. 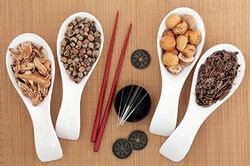 View WellSpace Chinese medicine practitioners.